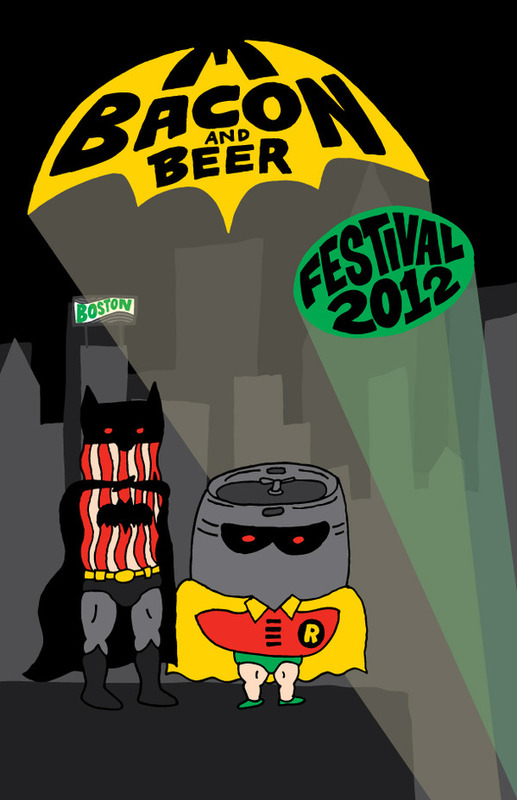 Boston: Bacon & Beer Festival: Get Your Tickets! ZOMG! Bacon and Beer week is Back! BostonChefs.com and Eat Boston have joined forces again with some of Boston’s best restaurants to bring some seriously wild bacon and beer pairings to this city for one week only. Other fun happenings that week include a Bacon and Beer Harbor Cruise, Bacon and Beer Festival and a bacon and beer inspired art show. The best way to find out what’s going on, and when, is to sign up for the Eat Boston email list. Unfortunately we still have some time, the celebration doesn’t start until April 28th and runs through May 3rd, however there is one event in particular you don’t want to miss and tickets just so happen to be going on sale in a few days. Kicking off the whole shabang is the 3rd annual Bacon and Beer Festival at the House of Blues on April 28th. If you were lucky enough to go last year then you know that tickets sold out in mere minutes. So for anyone who missed it, here’s your “heads up” as tickets will be going on sale next Wednesday, April 4th. You’ll need to be on the email list in order to recieve the password protected link to get tickets, so make sure to sign up stat. For additional details, dates, participating restaurants and Bacon and Beer merch check out Eat Boston. Viva la Beer and Bacon! !